What Do Arch Support Bands for Flat Feet Really Do for Your Feet? You have probably heard of the expression, “flat-footed.” Arch support bands for flat feet are used to treat this condition. But what does it really mean? Pes Planus, which is also known as “fallen arches,” affects at least 25% of the American population and can cause heel pain and foot pain. Essentially, individuals with flat feet have a very low arch or no arch at all. This means that either one or both of their feet rests flat on the ground. Surprisingly, the human foot has 33 joints, consisting of 26 different bones. It’s also made up of more than 100 muscles, tendons, and ligaments. The role of the arch is to act as a spring to the step; thus, helping to distribute your weight evenly across your feet and legs. Subsequently, the structure of an individual’s arches is what determines their walking style. Therefore, the arches ought to be sturdy yet flexible so that they can adapt to an array of surfaces. For people with flat feet, it means that their feet roll to the inner section when they stand or walk. And even though fallen arches are painless, they can, at times, cause a number of complications. These include heel pain, foot pain, damage to the ankle, or even affect toes and surrounding muscles. One of the best treatments for Pes Planus is to wear arch support bands for flat feet. In this post, we explain the causes of flat feet and how a foot arch support band helps this condition. If you’re not sure whether you have flat feet, you can try this simple test. First, place the soles of your feet in water. With the bottoms of your feet still wet, step on a plain sheet of paper. In case you don’t have paper nearby, you can also step on a dry concrete sidewalk. Now, if your whole foot is visible on the wet footprint, meaning that there is no clear spot of dryness where the arch ought to be, then you have flat feet. Alternatively, you can purchase in-store diagnostic machines if you don’t like the at-home method. If you don’t fancy any of these options, you can always consult a physician or podiatrist for an official diagnosis. For many individuals, having flat feet is hereditary. In fact, you might have noticed that all toddlers and infants usually have loose foot tendons. By the time they get to three years, their tendons tighten, allowing the arches to start developing. But for 25% of Americans, this process never happens, which is why they end up with flat feet. Fallen arches can also be the result of aging. The constant wear and tear that people subject their feet, weakens the tendons. This causes their arches to drop gradually; hence, forcing one to lose their natural support. With time, their arches fall down in line with the rest of their feet. In some people, fallen arches are brought about by foot injuries. The most common culprits include stretched or torn tendons and dislocated bones. Medical conditions such as diabetes and rheumatoid arthritis can also cause flat feet. If you have flat feet, you are likely to experience discomfort. This is particularly so for individuals who walk a lot during the day. Luckily, the arch support bands help by providing additional support to the weak tendons. What’s more, the arch support bands boost blood circulation around your feet, which helps to reduce swelling. Using arch support bands for flat feet, on a regular basis, provides the tendons sufficient time to heal and strengthen. By continuous use of these bands, your tendons will gain enough strength, needed to support your weight. With solid arch support, you can reduce overpronation or supination of the feet. Ultimately, this results in improved balance, body alignment, and posture. One complication caused by flat feet is that they interfere with the body’s alignment, resulting in a whole host of health problems. Plantar fasciitis is a painful condition that occurs when the arch is strained or weakened. 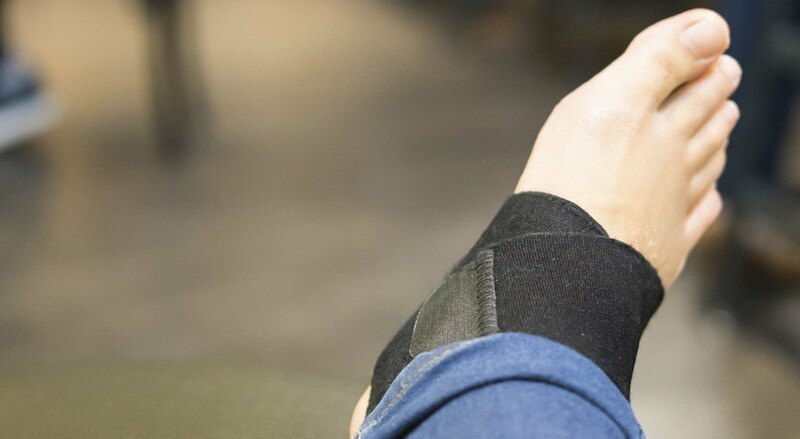 Wearing an arch band for plantar fasciitis is a common remedy. Some of the conditions brought about by fallen arches include bunions, chronic pain, shin splints, and Achilles tendonitis. So, by using arch support bands for flat feet, you will prevent an array of other conditions. Especially if you already have flat feet, performing certain kinds of exercises will aggravate this condition. For instance, rigorous activities that exert stress or shock on your feet are likely to make the condition worse. If you have to go to the gym, consider using the elliptical trainer or step machine instead of running on the treadmill. Alternatively, you can also hire a professional trainer to guide you on the best exercises for flat feet. Make sure you find one who's knowledgeable about your condition. Apart from providing comfort, gel shoe insoles also anchor the arch and effectively relieve the symptoms associated with flat feet. We recommend going for full-length orthotics or three-quarter length orthotics. Surgery is rarely needed for fallen arches. However, if you’ve tried all other options, and your condition is getting worse, your doctor may recommend surgery. A flat foot surgery is nothing complex. The procedures undertaken during this operation can vary depending on the patient’s age and the severity of the symptoms. Often, this surgery entails tendon transfers using bone cuts or joint fusions. It can also involve an implant in the back of the individual’s foot. You should not let fallen arches hold you back from living life to the fullest! And if you're wondering do arch support bands work, the answer is yes. They are designed to relieve pain and support your arches while the feet continue healing. These arch supports are also good at improving your balance and keeping other foot conditions at bay. Apart from using the arch bands, you should also stay away high-intense activities and exercises. 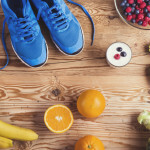 ← What Do I Do if Exercising Makes Me Feel Worse?